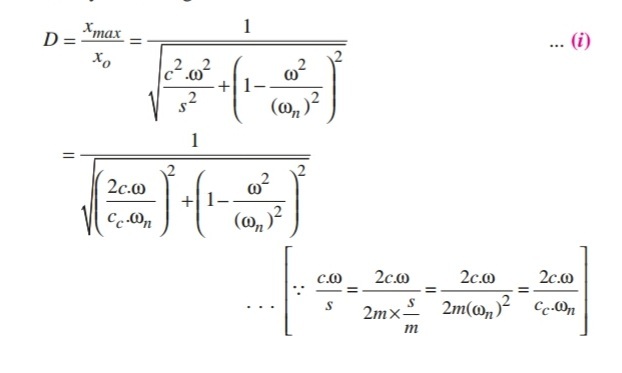 It is the ratio of maximum displacement of the forced vibration (xmax) to the deflection due to the static force F(x0). 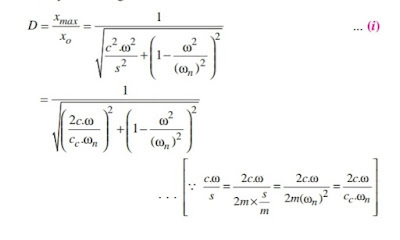 We have proved in the previous article that the maximum displacement or the amplitude of forced vibration. 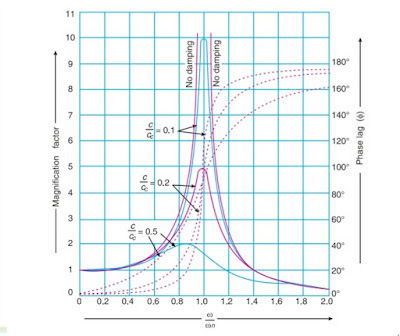 The magnification factor or dynamic magnifier gives the factor by which the static deflection produced by a force F (i.e x0) must be multiplied in-order to obtain the maximum amplitude of the forced vibration (i.e xmax) by harmonic force F Cos ωt. 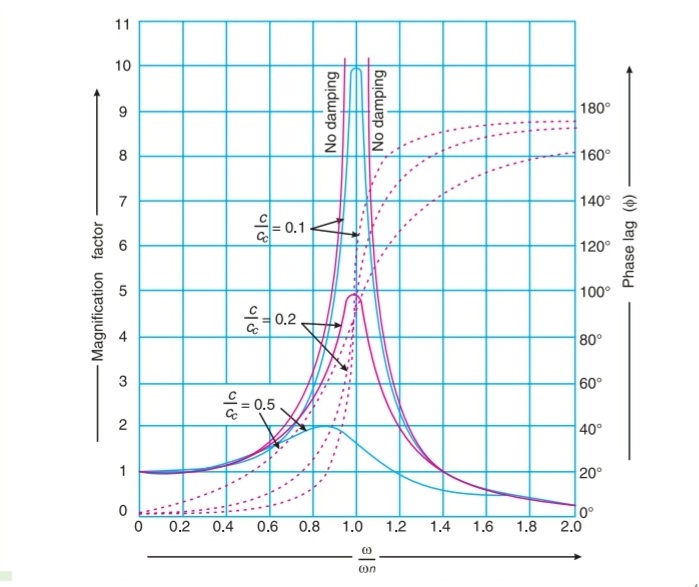 Above Fig shows the relation between the magnification factor (D) and phase angle Φ for different value of and for values of damping factor C/CC =0.1, 0.2, and 0.5.